From simple favorites—including root beer barrels, lollipops and butterscotch buttons offered by the piece in colorful mason jars—to the most elegant dutch licorice, Assorted Goods and Candy has candy for everyone. Come in and enjoy a feast for the senses as you browse through shelves of colorful gummy candies, lollipops, sour candies and nostalgic favorites. 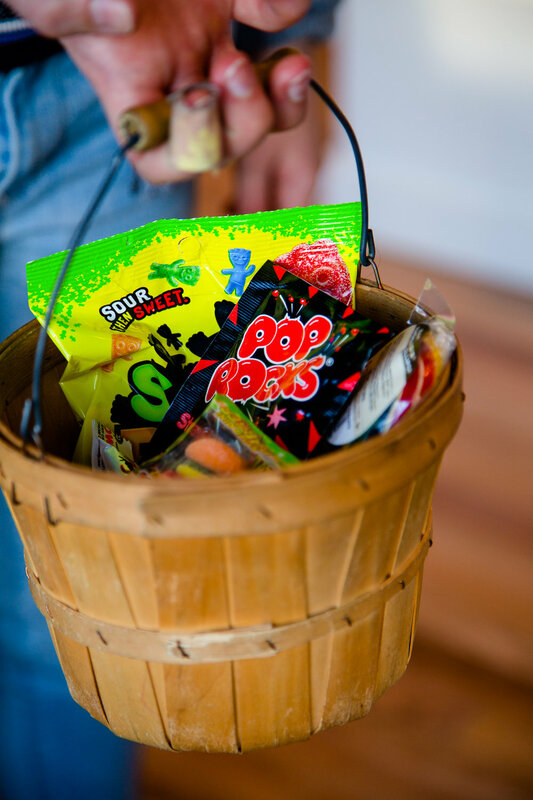 Kids of all ages will love filling their baskets with our sweets! We have stocked chocolate from all over the world to satisfy any craving. Our line of elegant boxed chocolates are handmade by Harbor Sweets in Salem, Massachusetts, our fudge and chocolate novelties are crafted right in Denver by Robertas, our most refined chocolate bars (which include gluten-free and vegan options) come from Seattle Chocolate, and we offer the full line of chocolate bars by hometown favorite Hammond’s Candies. Though we find it hard to believe, there is more to life than chocolate and candy. So, we offer a fun selection of unique gifts, toys and cards so that you can shop for everyone on your list when you visit Assorted Goods and Candy. From color pen to mini pac-man machines, the fun does not have to stop with edible delights. Louisville Live! Assorted Goods and Candy will be offering live music from 4-6pm at the store as part of the Louisville Live celebration of music in downtown Louisville. We will be offering chocolate samples and special deals as part of the event. Assorted Goods and Candy opened in 2011 and quickly became a beloved source for all things sweet in Louisville. In January 2019, the Lynch family purchased the store and reopened Assorted with a fresh look that is brimming with old favorites and new delights. The Lynches have lived in Louisville since 2007 and love being a part of this wonderful small town. You will find Sarah Lynch at the shop most days—she is passionate about candy and is always on the hunt for interesting gifts and toys that make shopping fun. Candy is nostalgic. No matter your age, you FEEL LIKE a kid in a candy store when you walk into Assorted Goods & Candy. Louisville, Colorado is where home and heart meet history. Between quirky shops, personality- filled parks, and everything in between, there’s a place for everyone in our corner of Colorado. When you come to Louisville you’re not just a visitor, you’re a part of our family. Be the first to know when new and exclusive candies come through the shop!